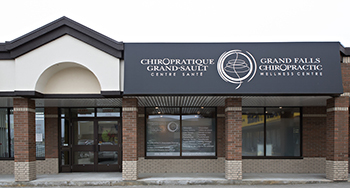 Welcome to the Grand Falls Chiropractic Wellness Centre! We’re located in the town of Grand Falls on Broadway Boulevard. You’ll see us next to Giant Tiger in a strip mall. Plenty of parking is available.